A Christian fellowship lives and exists by the intercession of its members for one another, or it collapses. I can no longer condemn or hate a brother for whom I pray, no matter how much trouble he causes me. His face, that hitherto may have been strange and intolerable to me, is transformed in intercession into the countenance of a brother for whom Christ died, the face of a forgiven sinner. This is a happy discovery for the Christian who begins to pray for others. There is no dislike, no personal tension, no estrangement that cannot be overcome by intercession as far as our side of it is concerned. Intercessory prayer is the purifying bath into which the individual and the fellowship must enter every day. The struggle we undergo with our brother in intercession may be a hard one, but that struggle has the promise that it will gain its goal. 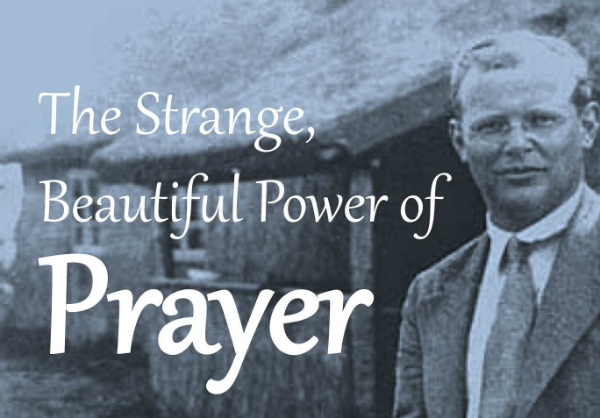 Some theologians have described prayer as a means of grace or as an instrument of sanctification. Truly it is.